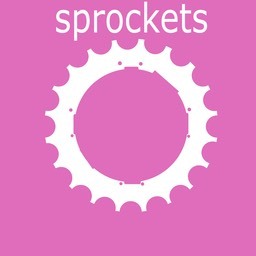 If you are thinking of trying Sprockets then please email and let us know your riders age and cycling ability, we are a friendly club and look forward to welcoming you. Please come along with a rider, bike, helmet, suitable clothing and your session fee. We will also need a signed consent form and confirmation that you have read through our code of conduct. All riders should bring their best smile with them. To help us start on time, to minimise disruption and to get the most from our sessions, please arrive 10 minutes early for registration and bike checks. For safeguarding reasons, Parents/Carers of Rascals and Rogues are required to stay on site for the duration of the session. Parents/Carers of Racers must always be contactable if they leave the site. Coaches will be on hand at the end of the session to answer any questions you may have. A popular feature of Sprockets sessions is Cake Break which allows the riders to have a rest and refuel. Cakes (mostly home made), water and juice are all available as are Tea and Coffee. All refreshments are 50p each with any profit going towards purchase of additional items for the club. If your rider suffers from any allergies, then please ensure they are aware of what they may take at Cake Break and ensure allergies are identified on the consent form. For Safety reasons all sessions are conducted on traffic-free areas around Bohunt School. On occasion we move older riders out of the school boundary to other nearby traffic-free areas in which case the riders will be escorted to and from the training venue by the Coaches. When off-site, riders will be supervised at all times. Please download a copy of our code of conduct for riders and discuss this with your rider before attending. The area by the Refreshment and Registration tent is available for Parents to stay and watch the session and we would ask that spectators remain at a safe distance for their own safety and the safety of our team and riders - speeding bicycles can be dangerous so we insist that only coaches and official Sprockets volunteers are allowed on or near the coaching areas. In order to avoid distraction we ask that accompanying children remain under close supervision. Unfortunately due to school policy, dogs are not allowed on the Bohunt site. Session information is always published on our Facebook site, please Like Sprockets to ensure that you do not mess any information.